A new dimension in gesture control. The new Nod gesture control ring ($150) has been designed to seamlessly transforms your hand movements into commands, allowing you to control devices and applications simply with a wave of your hand. 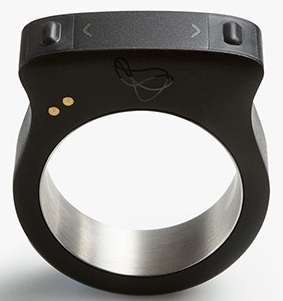 In essence, the ring is an input device, just like a mouse, keyboard, or trackpad. Slip it on your index finger. Wave your hand in the air. Swipe your thumb over its touch-control surface. All your gestures and motions can be used to control other consumer electronics. “We want you to be able to address any pixel of the digital world in the real world,” says Anush Elangovan, Nod Labs’ founder and CEO. 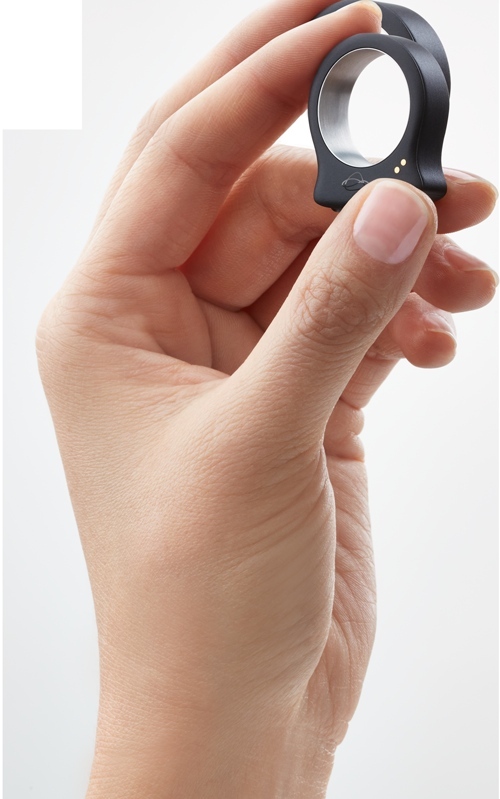 The $150 gesture-control ring is packed with an accelerometer, gyroscope, compass and temperature sensor. The ring’s chunky business end responds to capacitive touch. Battery life is rated for 24 hours. There are 12 different band sizes, and Nod is waterproof. Previous Previous post: Why can’t serious science fiction compete with this?